This time around, the Vikings won’t be guaranteeing anybody $84 million. But some pivotal roster decisions need to be made in the coming weeks. Early movement can set a tone for the NFL offseason, which officially began last week with the reopening of the waiver system. If you recall last year, Kansas City’s February agreement to trade Alex Smith to Washington meant Kirk Cousins was scouting his future home during a Super Bowl visit in Minneapolis. Feb. 19: The window opens for teams to begin applying a franchise or transition tag on designated players. Feb. 26-March 4: The NFL Scouting Combine at Lucas Oil Stadium in Indianapolis. March 5: Franchise and transition tags must be applied by 3 p.m. central. March 11-13: Negotiations legally begin between teams and the pending unrestricted free agents from other teams. March 13: Free agency opens at 3 p.m. central, marking the start of the 2019 league year. It’s also the deadline for the Vikings’ decisions on 2019 options, like safety Andrew Sendejo’s $5.5 million, as well as whether to tender restricted and exclusive rights free agents, which this year include safety Anthony Harris (RFA) and fullback C.J. Ham (ERFA). Trading is again opened. March 24-27: League meetings, where owners start voting on new rule proposals, in Phoenix. Last year, the new catch rule was approved unanimously. 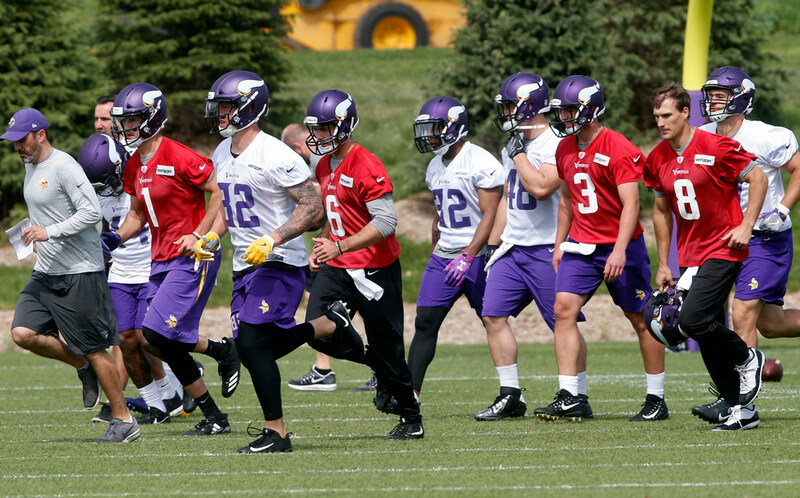 April 15: The Vikings, and all other teams with returning head coaches, can begin offseason workouts. April 19: Deadline for restricted free agents to sign offer sheets from other teams. April 25-27: The NFL Draft on First and Broadway in Nashville. May 3-6 or May 10-13: Teams are permitted to hold one three-day rookie minicamp for draft picks, undrafted players and tryouts on either weekend. May 20-22: League meetings, where last year rule changes and host cities for the draft and Super Bowl were announced, in Key Biscayne, Fla.